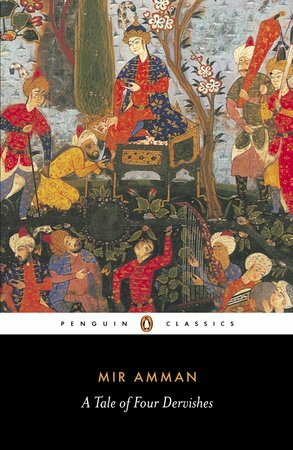 Originally composed in the fourteenth century and made popular in 1803 by Mir Amman's colloquial retelling, this wonderfully entertaining story paints a portrait of a distant and colorful time and place. In despair at having no son to succeed him, the king of Turkey leaves his palace to live in seclusion. Soon afterward, however, he encounters four wandering dervishes-three princes and a rich merchant-who have been guided to Turkey by a supernatural force that prophesied their meeting. As the five men sit together in the dead of night sharing their tales of lost love, a magnificent landscape reveals courtly intrigue and romance, fairies and djinn, oriental gardens and lavish feasts.